“Rain Rain Go Away,” was the song that many were singing early on when the Wimbledon matches were delayed due to precipitation. When the matches resume, the song had a brand new meaning. 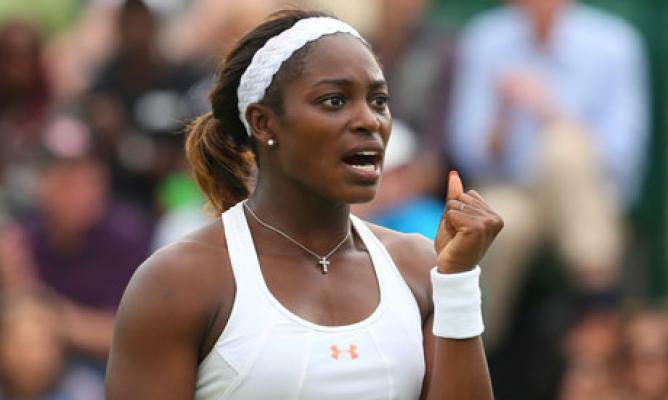 Sloane Stephens, the only America left at Wimbledon, was sent packing. No. 17 ranked, Stephens faced the No. 15 ranked, Marion Bartoli from France in the quarterfinals. Before the match was postponed, Stephens was serving at deuce and Bartoli led with a score of 5-4. Stephens had the crowd behind her showing support as Bartoli was booed for demanding that play be suspended for drizzling. It’s obvious that Stephens never did rebound from the 2 ½ hour rain delay. Stephens was defeated 4-6, 5-7 to end the American Parade at Wimbledon. Bartoli faces 20th-ranked Kirsten Flipkens from Belgium in the semi-finals.